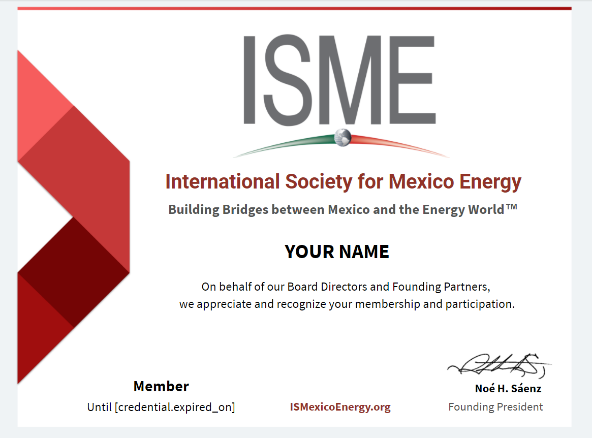 By being a member of the ISME, you will belong to the only non-profit international organization exclusively focused on Mexico’s energy sectors with an educational agenda. It is truly an unmatched return on your investment for your professional career. Be an employee (or self-employed) of a company/organization involved in the energy industries in some capacity. ISME reserves the right to accept or decline your membership request.